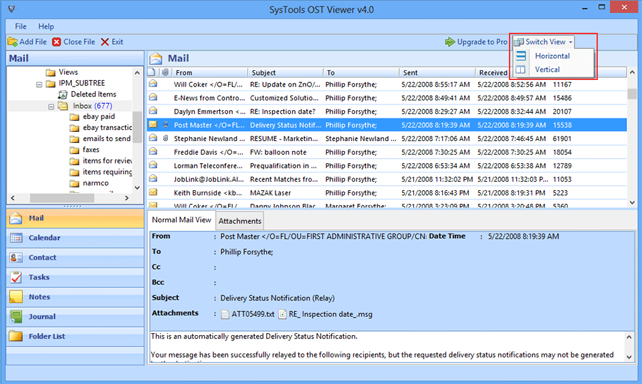 Outlook OST file forensics utility is a Digital Forensics tool that facilitates viewing orphaned Outlook OST files. Analyze OST file along with their attachments. Count Number of Each Folders & Sub-Folder of OST File. Save Scan of OST File to Save Reloading Time. Installation of Exchange Server is not required to view OST file. You can preview multiple OST files including emails, contacts, calendars, notes, journals, etc. along with all the attributes such as, To, From, Subject, Received Date, Size in Bytes, etc. The software will generate a preview of the OST file attachments. You can view all the attachment types such as images, documents, files and other similar files within the inbuilt viewer. It allows you to select the scanning mode as per your choice to examine OST file. In case of minimal level of corruption, 'Quick scan' mode is enough. However, in case of severe corruption select 'Advance scan'. 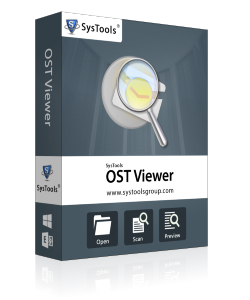 The software is a standalone utility to load and analyze OST files. It does not require any specific applications such as Outlook or Exchange server to be installed on the system for MS Exchange OST analysis. 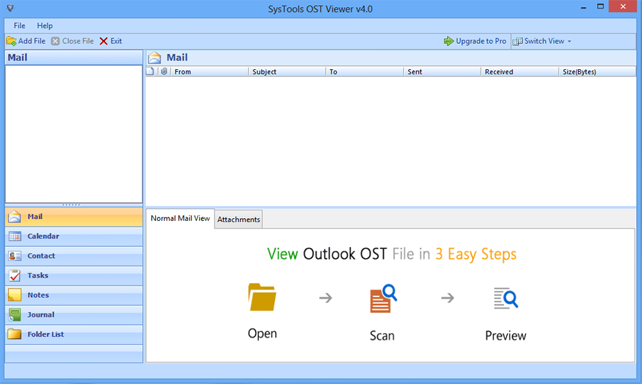 A graphical user interface that gives the user a feel of Microsoft Outlook interface. It is easy to use as the entire item folder layout will appear similar to that of Microsoft Outlook. By default the software uses the Horizontal screen view. However, the tool to examine OST file allows you to switch the screen view as per your choice. You can switch from Horizontal screen view to Vertical screen view. I have Windows 8.1 installed on my system. Will the software work on my machine? Yes, the software will efficiently work on any Windows machine and it is supported on all Windows Versions (Windows 8 and all below versions). Is Microsoft Outlook installation necessary for the software to operate? No, you need not have MS Outlook installed. 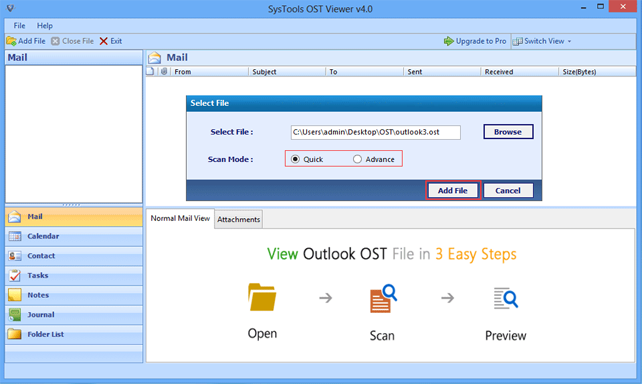 The tool for MS Exchange OST analysis does not demand any specific applications such as Outlook or Exchange server installed on the system to generate previews of OST file. Is there any File Size limitation of OST File to view emails and other data? Is Software allows to Save Email File Data stored in OST File? Outlook OST File Forensics has been of the great help to me. It allowed me to open and view my OST files that I had considered to be lost forever. Hats off to the developers!" It is really amazing how this software application helps to examine OST file. I can now access the entire data from multiple OST files that were once deleted due to hard drive malfunctioning."